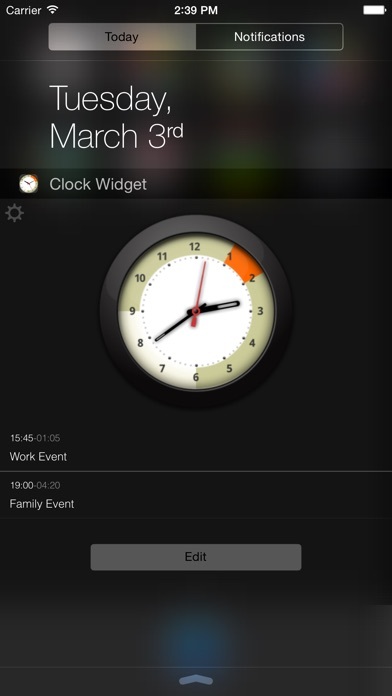 Are you looking for a nice and beautiful notification center? 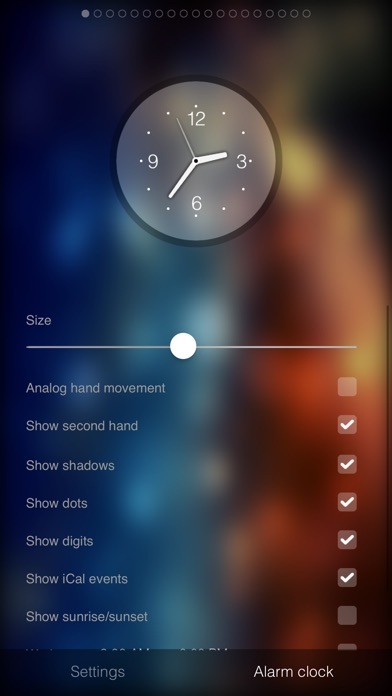 Alarm Clock Widget is designed for you! 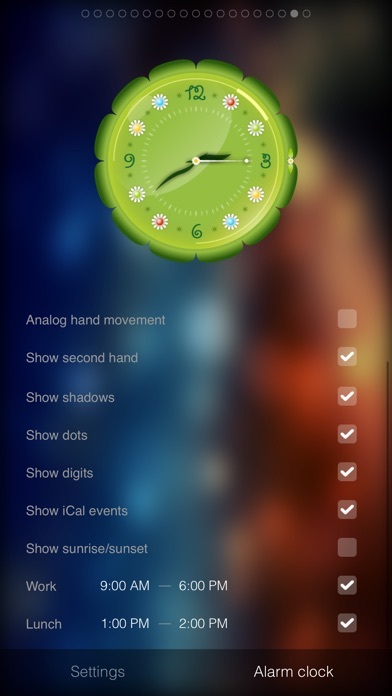 It is a highly customizable clock and alarm widget with a lot of multiple skins. Features: [+] 19 Skins! 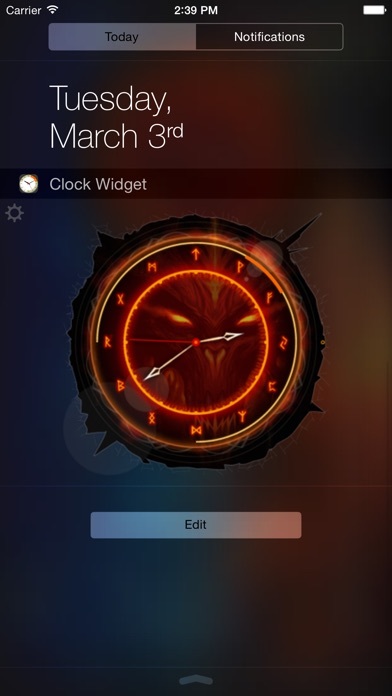 [+] Fully customizable dial [+] Adjustable clock size [+] Work and launch time intervals [+] Shows upcoming events from iCal [+] Multiples Alarms [+] Universal iOS 8 widget for iPhone and iPad We appreciate your input. Please help us make this application better - visit our website to see more screenshots and videos and let us know what new features you would like to have: www.LifewareSolutions.com If you like the app, please write a review in iTunes. Your support would greatly help! 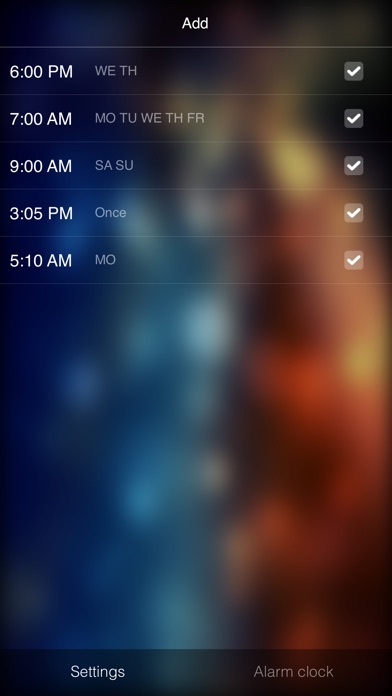 The alarm is a teeny little 2 second notification, barely audible unless I'm paying close attention. You cannot change the tone. Useless as an alarm.